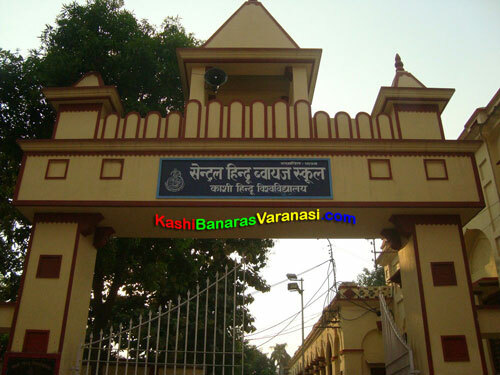 Banaras Hindu University organises an Undergraduate Entrance Test every year for the students getting admission in any of the bachelor degree courses in the BHU or other affiliated colleges by the BHU. Undergraduate Entrance Tests conducted by the Banaras Hindu University is called as BHU UET. Some of the Undergraduate courses are B. A. (Hons.) Arts, B. A. (Hons.) Social Sciences, B.Com. (Hons.)/B.Com. (Hons.) Financial Market’s Management, B. Sc. (Hons.) Maths Group, B. Sc. (Hons.) Bio. Group, Shastri (Hons. ), B.Ed./B.Ed. (Special Education) in languages Hindi/English/Sanskrit, B.Ed./B.Ed. (Special Education) – Sciences : Botany/Zoology/Chemistry/Physics/Home science, B.Ed./B.Ed. (Special Education) – Mathematics : Maths/Statistics, B.Ed./B.Ed. (Special Education) – Humanities and Social Sciences : History or AIHC and Arch./ Geography/ Economics/ Political Science/ Commerce/ Home Science, B.Sc.(Ag)/B.Sc. (Ag)RGSC, LL.B. (Bachelor of Law), B.P.Ed. (Bachelor of Physical Education), BPA : Instrumental Sitar, BPA : Instrumental Flute, BPA : Instrumental Violine, BPA : Instrumenta Tabla, BPA : Dance – Kathak, BPA : Dance – Bharat Natyam, BPA : Vocal and B.F.A. (Bachelor of Fine Arts). Candidates who successfully qualify the UET test are called for the counselling and get admission to the appropriate courses according to their merit ranks in the UET as well as seats available. UET is a state level entrance exam conducted every year by the Banaras Hindu University for all the UG level courses offered by it. 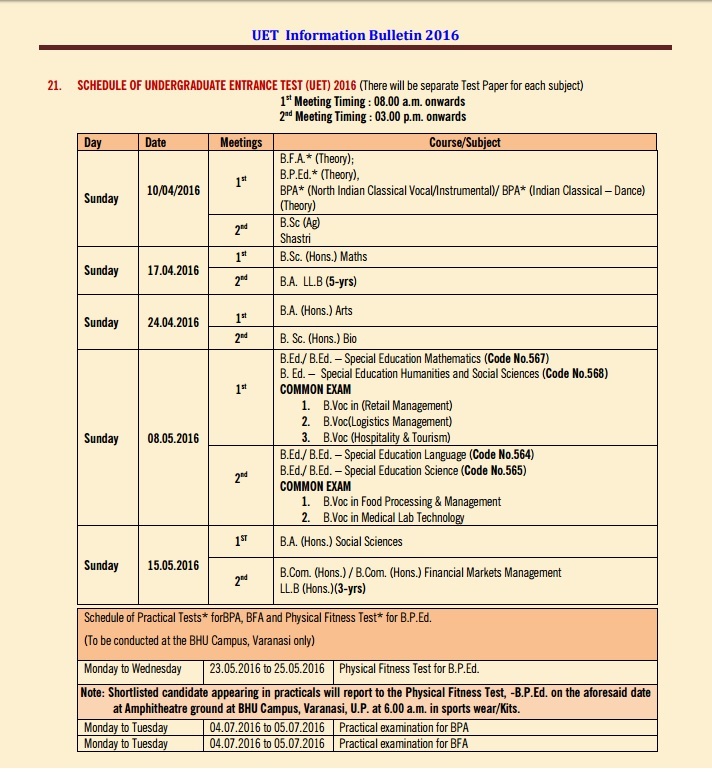 Online application form for UET-2016 is available from 29th January 2016. Candidates can download the online admit card for undergraduate entrance test from the official website (www.bhuonline.in) a week prior to the exact date of entrance examination. Candidates can contact to the Office of the Controller of Examinations, BHU, Varanasi using Help Desk Phone No. 08574587668 or email id in case of any problem to the admit card download. Here candidates can get all the information related to the online registration for application, syllabus for entrance exam, requirements to complete online application process, steps to be followed while filling online application form, how to make online payments, how to submit application form, etc.